My daughter recently did her first communion, and here’s the card I made for her. I used the Lattice Bigz die to cut the cross. This beautiful die will soon be discontinued so if you like it, get it now! 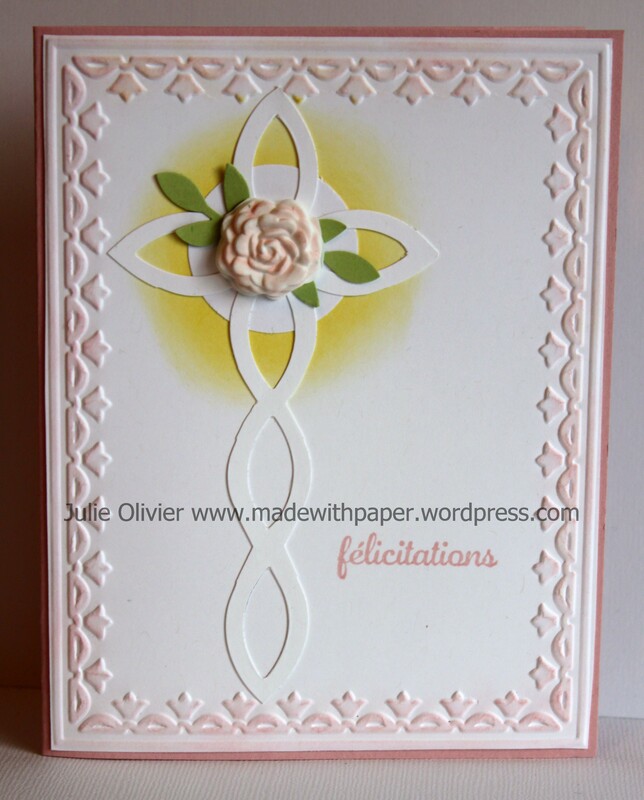 The same goes for the Framed Tulips embossing folder, which created the borders of the card. To order it click here! 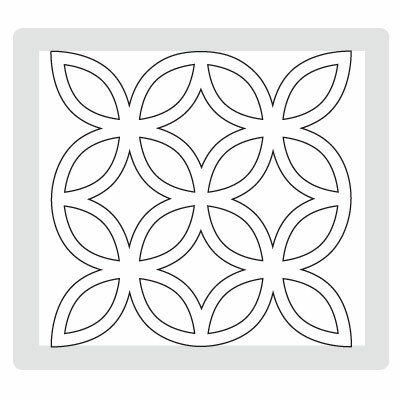 The rose is made with the Simply Pressed Clay and the Simply Pressed Clay molds. I colored the rose with “Blushing Bride” ink and the Blender pen. So easy! You can have an embellishment flower in any color! In the background, I sponged Daffodil Delight ink to make the White circle “pop out”. The little leaves are made with the Bird Builder punch. Lattice Bigz die (only available until May 31 2014). To order click here. My nephew did his First Communion today and I wanted to share with you the card I made for him. I used the Square Lattice Bigz die to make the cross. 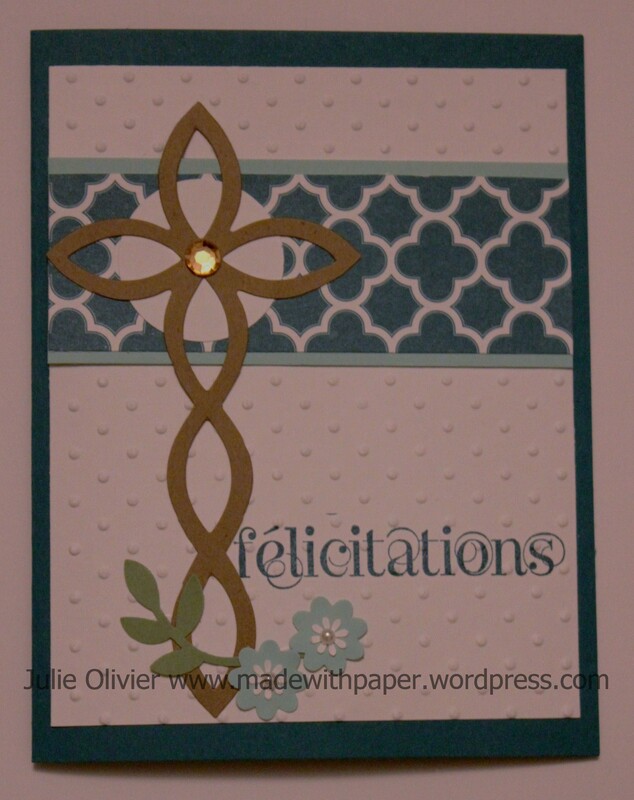 A little strip of Sycamore Street designer series paper was perfect to make this card, as it kind of look like a church window.